Smartphone usability rating: 4/5. No mobile page for smartphones. You can still finish the Pick 'n Save Customer Satisfaction Survey via your smartphone and it may take you more than 5 minutes to finish. Visit the Pick 'n Save customer survey official website and enter the required information such as store number, transaction number, etc. Indicate your answers to questions or statements regarding your Pick 'n Save visit, such as departments you visited, satisfaction with the selection of products, etc. If you have any problem or difficulty finishing the Pick 'n Save Survey, refer to the following survey video recorded editorial team. 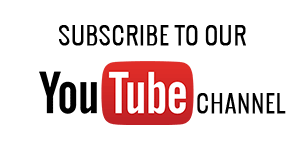 You can easily complete the survey by following the step-by-step guide in the video. Pick 'n Save is operated by Roundy's Supermarkets, which is a supermarket chain that has stores under the names of Pick 'n Save, Rainbow Foods, Copps Food Center and Metro Markets. At Pick 'n Save, you will find a brand of their own: Roundy's. Roundy's can meet all your demands for quality, freshness, variety, and value. There are premium band, quality brand, Italian brand, organic brand, fresh brand, value brand under Roundy's. Baby brand and health and beauty brand, pharmacy are also available. So if you love to save money and live more healthily, choose Pick 'n Save and Roundy's. 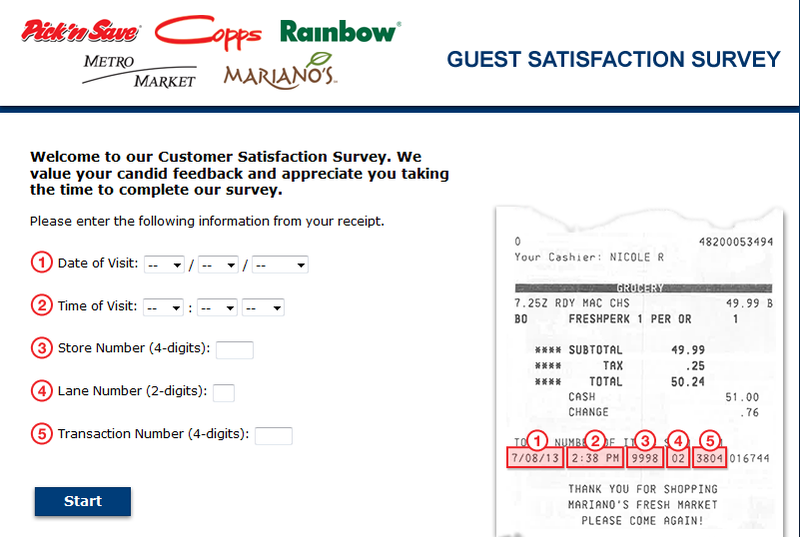 your new receipts do NOT match up with how to do survey. PLEASE FIX !!!!!!! I enjoy shopping at your store. Based on a visit to Pick 'N Save in Caledonia oin Saturday just before 4 p.m., my only comment is that you need more help at that store, the sooner the better. Everyone appeared to be working hard, but they all seemed rushed. This was noticed at the Check Out but also through out the store. The people were very friendly and helpful. Brad L. IS ALWAYS VERY HELPFUL AND ANSWERS ALL MY QUESTIONS. i like the fact that I can download coupons to my pick n save card and my savings automatically come off. We shop at the handy Marshfield Picknsave where all are very helpful. We would like to recommend Heidi C. as an outstanding helpful checker. I do enjoy shopping at pick n save in Monroe Wi. I shop a lot at deli and Ronda always is so polite, always has a smile for you and goes out of her way to help you I think she is a great asset to your store! !Thank You Ronda. I have been very unhappy with shopping at the Weston Wis. store lately. I thought the idea of the eclips was great but the last 2 ties I was there I had to double check that I did indeed get the sale price. It happened again today with the buy 3 cereals and get 3.00 back. I think the service counter gal is getting tired of seeing me. Either this will have to be corrected or I will have to shop at my other local stores. Otherwise the personel are very friendly. I shop every week at the Pick n Save in DeForest, Wis, always enjoyed my shopping here as the staff are exceptional, however, since all the changes you have deleted some of my favorite products, which makes me unhappy. Yesterday I was looking for Pledge Floor cleaner and Puffs Basic 180-2ply box, not in store. Do I need to shop elsewhere for the products I like and you no longer carry? You have made selections a lot smaller and what your putting in place of I don't know. Needless to say the changes in store are challenging enough without taking away products that are popular. Would appreciate some feedback to my survey. Thank you. Mary Jo helped me out at the checkout counter. Very friendly as well as helpful even when a little problem jumped up. Thank you MaryJo for your great attitude! Look forward to next weeks shopping. nice store for the area. It bothers us that nobody cleans up the dairy case There been broken eggs that dripped down below and it has been there two weeks.It sure is not good for your health, Somebody is not doing there job. Happy cheerful people at the Neenah PNS, of course it was 7:20 pm and they were lonely. The PicknSave in Cudahy has music playing too loud and it is irritating when trying to ask a question at a counter. The one on Holt Avenue (6878) never has a small (12 oz) of 2% milk. I had to buy the 32 oz size just for coffee use because I'm lactose intolerant. Probably will have to dump most of it before it sours! Please alert the people who stock 2% milk to check the availability of smaller bottles. August 4, 2016 Pick & Save on Capital in Pewaukee is a friendly store to shop. They always bag the groceries and ask if I need help. Wish they would stock more Klements products and less Johnsonville products. The Johnsonville sausage have more grease and the flavor is not as good as Klements or Usingers sausage. The prices are getting better and more competitive since Kroger took over. I buy less and less each week at Walmart. I love the fresh fruits and vegetables and the meat. The butcher is always there to answer any questions. It is never right There is always an error every week from cents to dollars This last week was 3.00 Every week this happens. I know it is not your cashiers making the errors it has to be the people who enter the pricing. Clara Jaeck Other grocerys store receipt are always correct. Checked out of Pick N Save Oak Creek at 10:39am. Was purchasing the $5 off deal items and told that this store did not carry the twin pack draft singles advertised in your flyer. Clausen pickles was another item in that $5 off section. Had to pick what I really didn't want because the pickle section was EMPTY with only a couple jars in the case. Came to find out that in loading coupons from your coupon list onto the pick n save card that if loading a coupon and on double coupon days it only gave single money off. If that is the case it would be better to print the coupons, as they are all manufacture coupons, present the printed coupon and then I would get the double the money coupon value. Getting upset with Pick N Save and may just go elsewhere. My cashier, Emily, at the pick n save in Cudahy, wi on Packard avenue was extremely helpful. She asked If I got the extra bonus we got with the peanut butter and went out of her way to make sure I got it. Also very helpful in another item I had a problem with the other day. Thank you Emily for your assistance. It was a pleasure having you wait on me. We were at pick n save on 76 and Rawson On July 3 around 1:20 pm. We were at the deli wanting to order chicken. We waited over 5 minutes. We counted at least 4 workers, and there were few customers. At one point another employee came over and rang a bell for us, but still no one came. The workers seemed to be busy putting labels on food and even looked at us, but did not stop to wait on us. Poor service . I was in Store #6308 yesterday. I had to pick up some groceries and items I needed for prep for a medical procedure. When I got home, I realized I had forgotten my instructions somewhere. I called the store and Jacey answered. Two phone calls later and a trip to all cart corals, she located my notes (which I needed to start today). I just want to mention what an awesome customer service experience this was. Jacey surveyed the entire parking lot attempting to find my notes (which I had left at the register). Picked up my notes today so I can start my prep. Shout out to Jacey at the Sunset Drive Pick n Save in Waukesha! One thing I don't like now is that the service desk hours. Should be a whole lot earlier like it was before. Some of us like to do things early. Pam was my cashier. You did a great job. and I also had great help with finding some of my items so good job to all that help. thanks. Pick N Save my main shopping store. Great shopping in this store . I think P&S is very lucky to have Brian running your bakery dept. You can tell he enjoys his work as everything always looks very nicely displayed, clean and orderly. He is more than helpful and friendly and customers always come first with him. I like the store as it is clean, has a pleasant atmosphere and is at a nice location. Forgot to mention that the employee's are friendly. Am in town once a week and always stop there. Debbie K. was awesome at the deli department today.We always get great service from the kind folks at the Oak Creek Pick N Save!!! Cashier Dionna was extremely pleasant which I don't encounter too much these days. I didn't receive in my Wed paper. Wish more people would be like Dionna !! shop @ Mayfair Rd in Wauwatosa. I always enjoy the friendly folks at pick n save. I wish to commend the cashier, Cleo R. Not only today, but every week she's courteous, helpful, thorough, and makes it a joy to shop at Pick n' Save. No matter the time of day, busy or not, she continually makes me feel as if I'm the most important customer in the store. And she does all of this and more with a smile and funny, witty story. She's the Pick n' Save cashier for me! and walked right by me. The same pick n save guy that help me with my groceries seen that and ran over and put the tv in my car. Thanks Pick n Save for hiring workers that will go that extra mile to help.